This shepherd's pie recipe is the best simple classic fall or winter meal that is paleo, AIP and whole30 compliant. 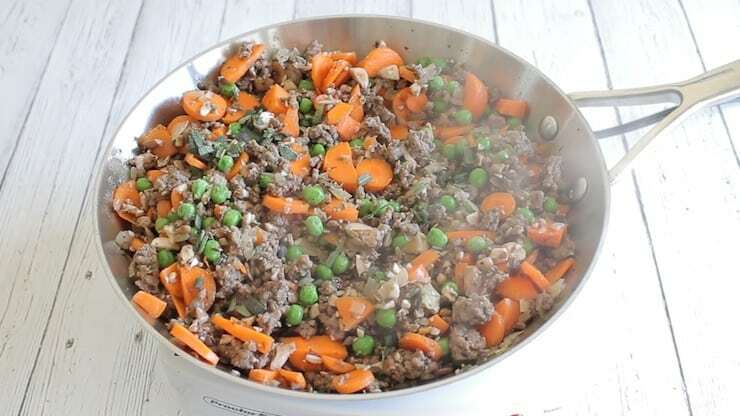 Made with grassfed ground beef and veggies, it's a hearty, affordable and healthy dinner staple. This shepherd’s pie recipe is the best simple classic fall or winter meal that is paleo, AIP and whole30 compliant. Made with grassfed ground beef and veggies, it’s a hearty, affordable and healthy dinner staple. I have made this shepherd’s pie recipe countless times over the years. I love making it when I have company over for dinner because it’s soo tasty and filling. It also looks really impressive but it’s pretty easy to make. Since sweet potatoes are in season fall through winter, this is the perfect dish to warm you up for the cold weather months. Having people over for dinner when you are paleo and try to eat only responsibly raised pastured meats can be a challenge. On the one hand you don’t want to break the bank by providing super expensive meat for a group of people, but on the other hand you don’t want to support factory farms by buying cheap unhealthy meat. Plus, you want to provide a meal that everyone will like, not just the paleo eaters. So I find that using grass fed ground beef is a good compromise. 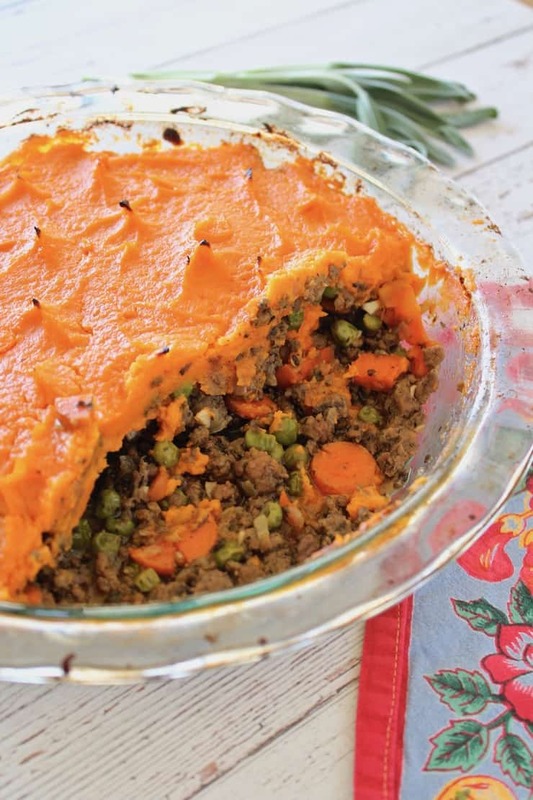 It’s one of the least expensive pasture raised meats you can get, so if you stretch it by adding lots of veggies like with this shepherds pie, it’s sure to be a hit with your dinner guests! Add a salad and maybe another side and you’re good to go! If you are on the autoimmune protocol, you’re probably wondering about the peas in this recipe. From what I understand, peas are a “gray area food” so they are not a strict yes or no. I think it’s probably fine to have a little bit, but if you’re concerned about it, you can omit the peas and add another veggie like cauliflower. I love the flavor and texture of this shepherd’s pie recipe. 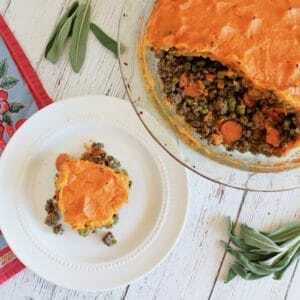 The filling is flavorful, succulent and hearty while the sweet potato topping is creamy and rich. All of the ingredients are very affordable. Grassfed ground beef is one of the cheaper quality meats that you can buy that is not only filling but also contains beneficial CLA and omega-3s. It’s packed with veggies like onions, carrots, peas and sweet potatoes as well as protein so it makes for a complete meal. 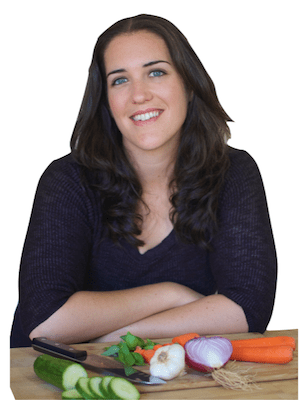 If you are on the autoimmune paleo diet (AIP) you’ll need to make a few small changes. Omit the peas and use finely chopped cauliflower instead (or cauliflower rice). You’ll also want to omit pepper and cumin. Finally for the topping, be sure to use coconut oil instead of butter. 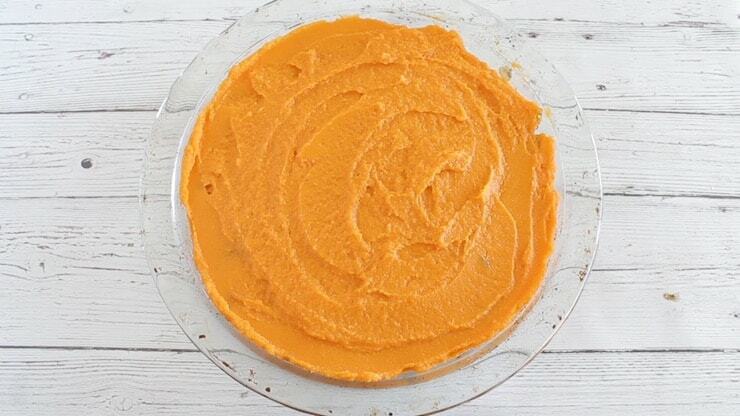 To get the creamy smooth sweet potato topping it’s easiest to bake the sweet potatoes first with the skin on, then after it cools the skin easily comes off. Adding the butter or coconut oil to the puree really helps to smooth it out too. I’ve found that this shepherd’s pie recipe last for a few days in the fridge and makes for great leftovers! You can use either fresh or dried herbs for this recipe. I find that the flavor is a bit better with fresh, but dried is still good. I’ve done it both ways and they are both good! Start by heating the oven to 400°F and baking the sweet potatoes for about 45 minutes or until soft and fork tender. Let the sweet potatoes cook while you work on the filling. When the sweet potatoes are done cooking turn the oven to 425°F. While the sweet potatoes are baking gather the vegetables and herbs. Chop all the vegetables and herbs (if using fresh herbs), then set aside. In a pan, heat 2 tbsp oil until hot. Then add the diced onions and stir occasionally for about 3-5 minutes. Then add the diced garlic and herbs. Cook until the onions are almost translucent and starting to brown a bit. 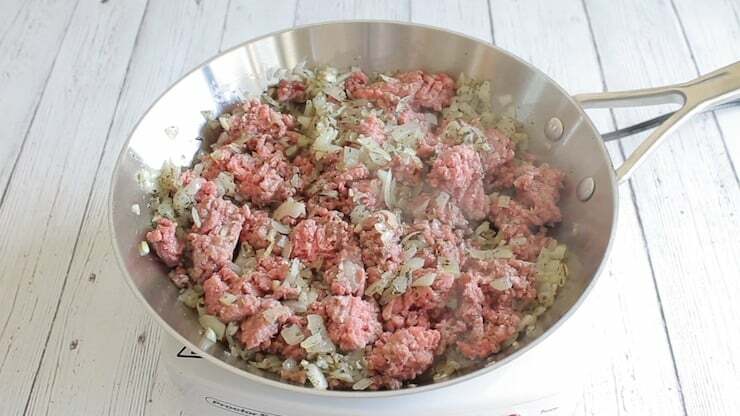 Add in the ground beef and break up into small pieces. Add in the salt, pepper and cumin and stir occasionally until all the meat has browned. Once the meat has browned, add in the carrots, mushrooms, peas and broth then stir. Cover with a lid and allow to cook. Stir every few minutes until the carrots have softened. Remove the filling mixture from the heat and set aside. 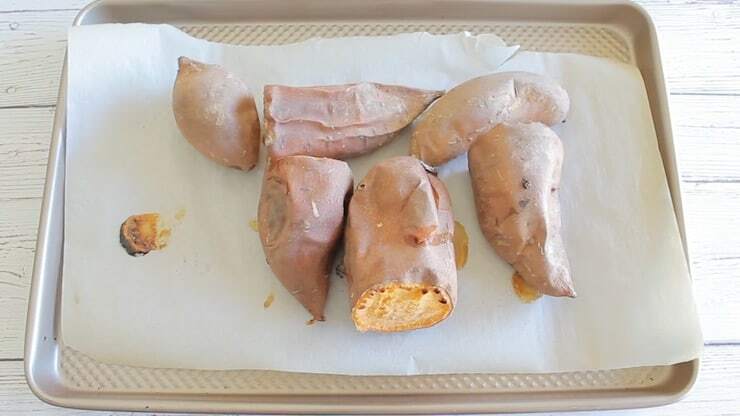 Once the sweet potatoes have cooled enough to handle, remove the skins from the cooked sweet potatoes and place them in a bowl. Add the broth, butter and sea salt, then mash with a potato masher, immersion blender or food processor until smooth. Get a 9 inch pie dish or baking dish and pour the filling mixture in. Evenly place the sweet potato mixture over the filling and spread to cover. Bake the shepherd’s pie at 425°F for about 20 minutes. Preheat the oven to 400°F. 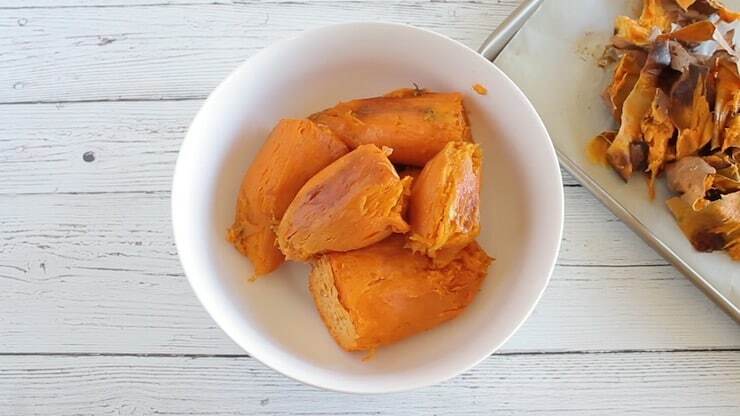 Place all of the whole sweet potatoes on a baking sheet with the skin on in the oven and cook for about 45 minutes or until the sweet potatoes are soft and fork tender. Set aside to cool. Once the potatoes are done, bring the oven to 425°. 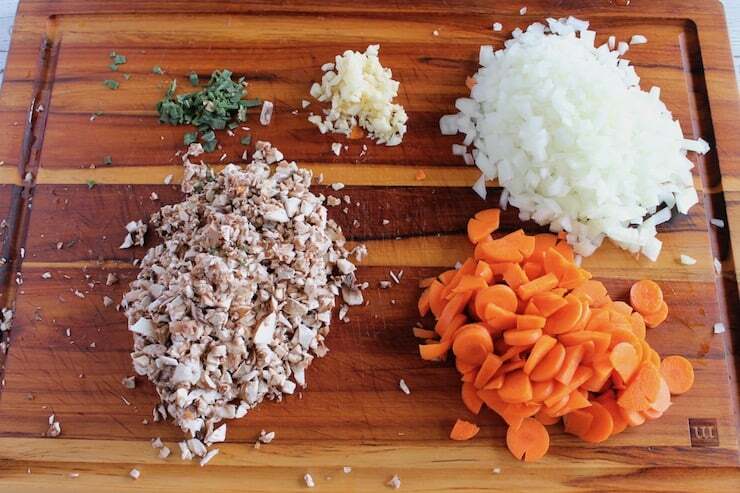 To make the shepherd's pie filling, chop the onions, garlic, mushrooms and carrots. Add 2 tbsp of oil to a pan on medium high heat. Once the oil is hot add in the onions and sauté for about 3-5 minutes, stirring occasionally. Add in the garlic, oregano, thyme, marjoram and sage and sauté for a couple more minutes until the onions are almost translucent and starting to brown a bit. Add in the ground beef in small chunks then sprinkle with salt, pepper and cumin. Stir and break up the beef with a spatula. Sauté until the beef is browned on all sides. Then add in the carrots, mushrooms, peas and 1/4 cup of broth and stir. Put a lid on the pan and allow to cook, stirring occasionally, until the carrots have softened. Then, turn off the heat and set the pan aside. Once the roasted sweet potatoes have cooled enough to handle, remove the skin and place the potatoes into a separate bowl and add 2 tbsp chicken broth, 1 tbsp butter and sea salt. Use a potato masher, immersion blender or regular blender to puree the mixture until smooth and creamy. 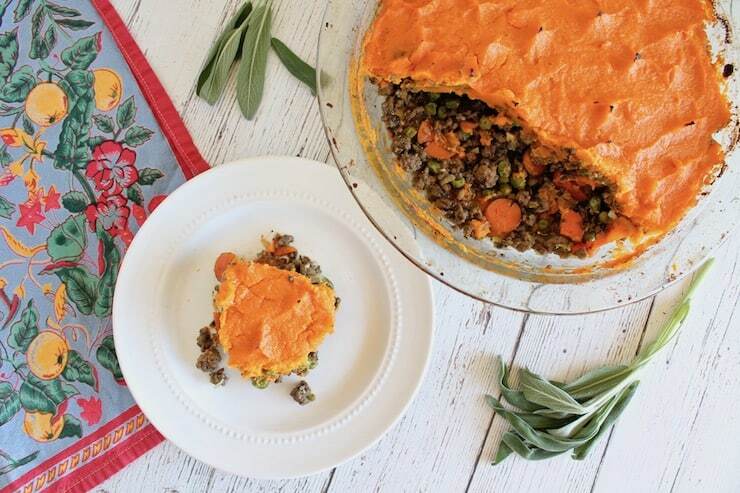 To assemble the shepherd's pie, place the beef and vegetable mixture in a 9 inch pie dish or an 9x9 baking dish. 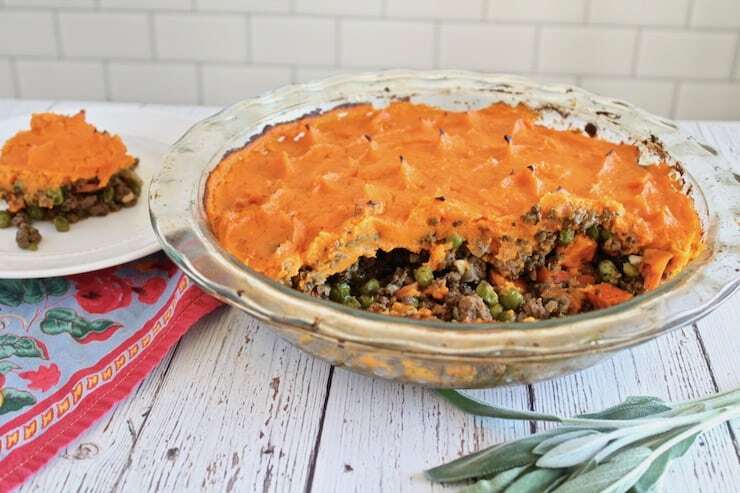 Place the sweet potato purée on top of the beef and vegetable mixture in the pie plate and smooth evenly over the beef and vegetables. Cook at 425°F for 20 minutes. Let cool and serve. You can use either fresh or dried herbs for this recipe. I find that the flavor is a bit better with fresh, but dried is still good. I've done it both ways and they are both good! 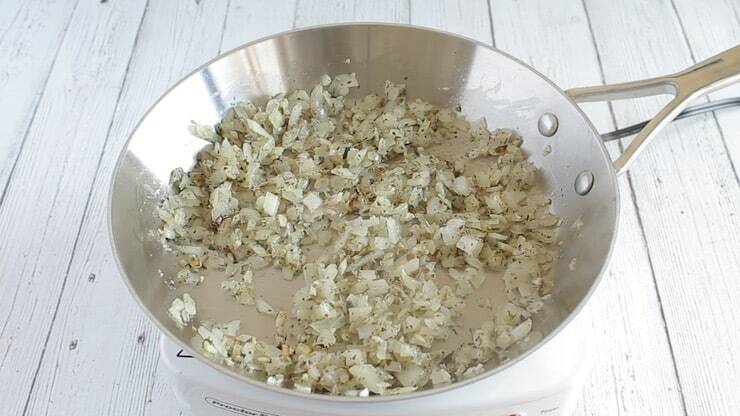 If your potatoes are a bit more dry, you can add more broth, 1 tbsp at a time to achieve the right texture for the topping. It should be the consistency of thick mashed potatoes. 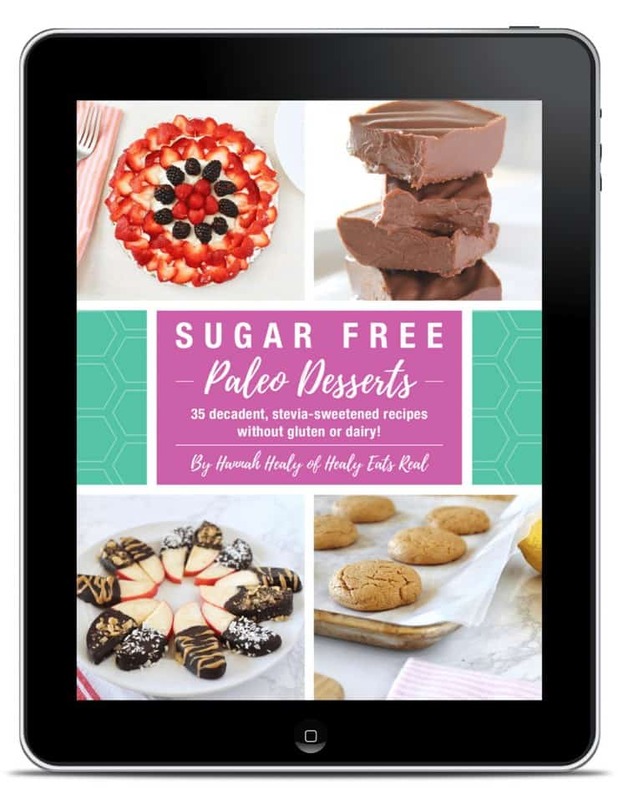 If you are on the autoimmune paleo diet (AIP) you'll need to make a few small changes. Omit the peas and use finely chopped cauliflower instead (or cauliflower rice). You'll also want to omit pepper and cumin. Finally for the topping, be sure to use coconut oil instead of butter. 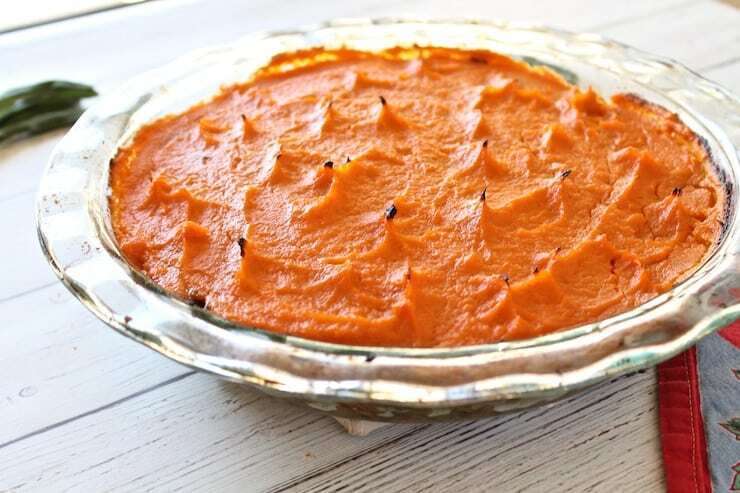 To get the creamy smooth sweet potato topping it's easiest to bake the sweet potatoes first with the skin on, then after it cools the skin easily comes off. Adding the butter or coconut oil to the puree really helps to smooth it out too. This shepherd’s pie recipe with sweet potato topping was originally posted in September of 2017, but has been republished in February of 2019 to include new recipe tips, new photos and a video. This looks like a great tip for stretching meat, we try to eat responsibly sourced meat so I know what you mean with that. 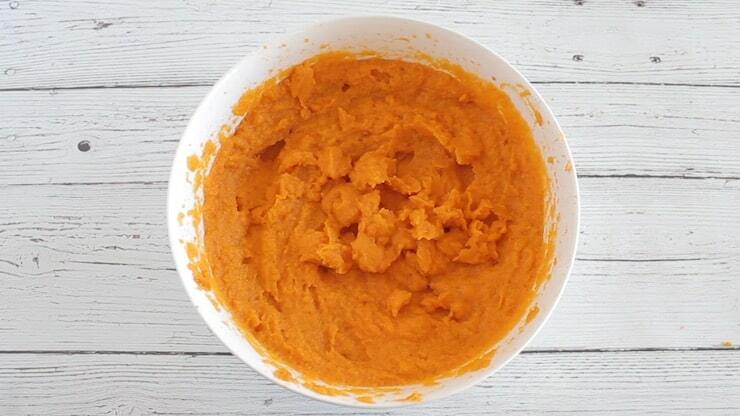 I love sweet potato puree – I often cook my potatoes in the microwave to save time. 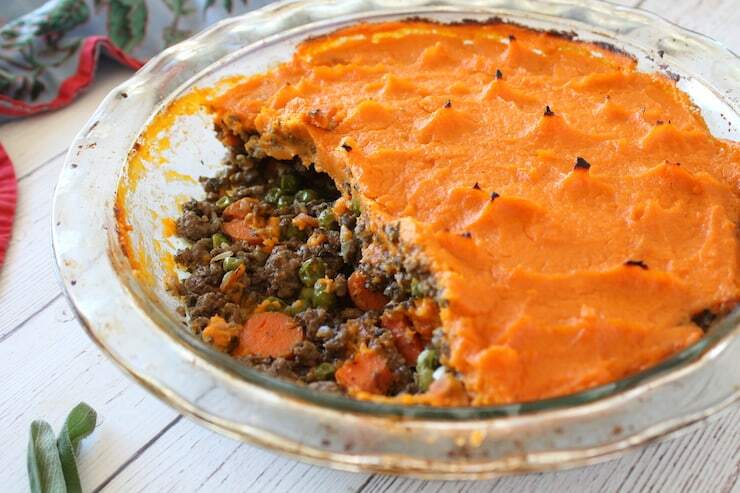 Ohh I love the idea of shepherd’s pie with sweet potato topping. Sounds much more interesting than the classic potato one. How absolutely delicious! Isn’t shepherds pie one of the best comfort foods around?!! I love this version topped with sweet potatoes, very nice! I grew up on the traditional version with regular ol’ potatoes, but damn this sounds good. I don’t eat ground meat anymore, but I could probably make a vegetarian version with lentils! This must go on my to-make list. This looks delicious and I love how simple it is to make. I am definitely going to have to try this. There is no mention of adding the mushrooms in the method directions, unless I am missing it. When is the appropriate to add the mushrooms? Oops! That was an oversight! Thanks for catching that. You would add the mushrooms when you add the other vegetables. I’ve just added it to the recipe. Looks amazing! However, I can not have onion or garlic which would also leave out the broth. Would you have any other suggestions? Also ,Anne subbing the peas (not a fan) with another green? Green beans or zucchini? So wholesome and yummy! Would be lovely to have on one these chilly rainy nights. This looks so delicious and I love that it’s such a healthy version of a classic! Loving this version with sweet potato!! Totally love making shepherd’s pie. I haven’t tried it topped with sweet potatoes. Sounds like a plan next time I have some leftover roast beef. Perfect comfort food for right now. Ultimate comfort food dinner for the win! Love using the sweet potatoes for this! So happy to find this recipe! Excited to try the sweet potato version and it looks beautiful!! Are the nutrition facts based on the whole pie or a portion of it? Looks delicious and I can’t wait to try it. Thank you! It’s for 1 serving (1 piece) of the pie out of the total servings which are at the top of the recipe card. Love this!! Just made a really big batch. I appreciate that it’s flexible – you can kind of throw in what you have veggie-wise. I had carrots and cauliflower rice and found some ground sirloin on sale – perfect. I used poultry seasoning and added extra sage, thyme and some garlic powder and it is on point! 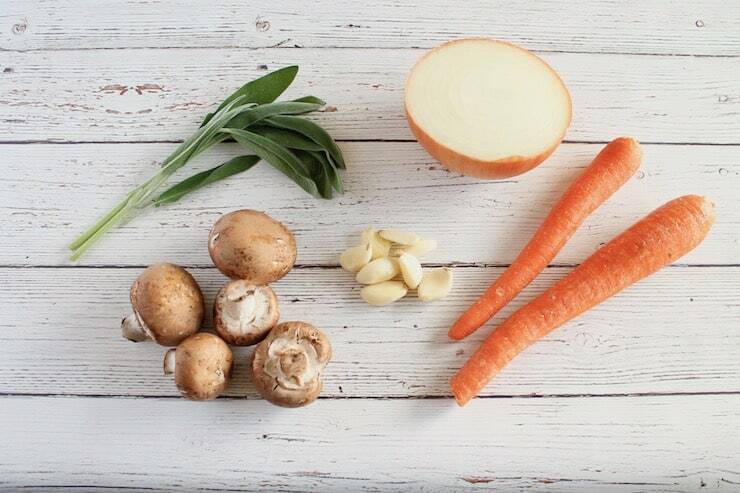 Broth adds so much flavor, too. Has anyone tried freezing this? I’m curious if I could cut it in to individual portions and save for next week?